Very Good. 0521659604 ALL BOOKS SHIPPED WITHIN 1 DAY OF PURCHASE! Forte, Helen. Very Good. Trade paperback (US). Glued binding. 79 p. Contains: Illustrations. Minimus. Intended for a juvenile audience. Join in the fun with Minimus-a mix of myths, stories, grammar support and historical background! This pupil's book is a lively, colourful introduction to the Latin language and the culture of Roman Britain. A fun way to teach English grammar, it is ideal for cross-curricular activities. Forte, Helen. Good. Trade paperback (US). Glued binding. 79 p. Contains: Illustrations. Minimus. Intended for a juvenile audience. 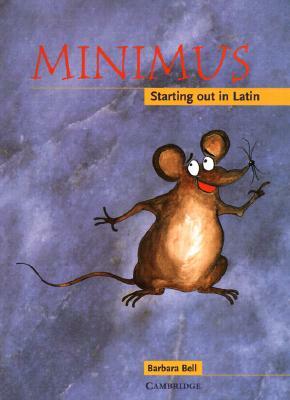 Join in the fun with Minimus-a mix of myths, stories, grammar support and historical background! This pupil's book is a lively, colourful introduction to the Latin language and the culture of Roman Britain. A fun way to teach English grammar, it is ideal for cross-curricular activities. Forte, Helen. New. Trade paperback (US). Glued binding. 79 p. Contains: Illustrations. Minimus. Intended for a juvenile audience.